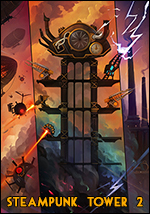 The STEAMPUNK TOWER 2 is finally OUT NOW! Check out what you will see in late game)! Steampunk Tower 2 - Steam page! We are excited to announce that the STEAMPUNK TOWER 2 will be released on Steam on Thursday, April 19, 2018!! As usual we’re trying our best to create a good game at the price of deadline but it won't be long now. The main gameplay, economics, almost all the enemies and bosses are ready. We’re working on the storyline, unique turrets, final boss, fixing mistakes etc. 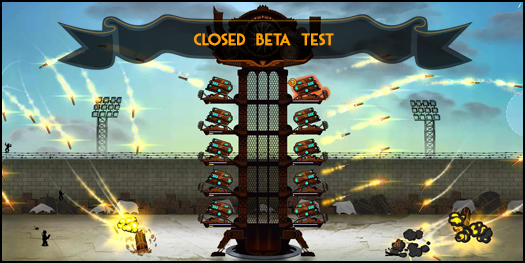 Steampunk Tower 2 is an action strategy and the strategic component is very important to us. The game players will have the opportunity to build their own steampunk city, choose technological development path, build a railway network and send trains with resources or agents. Can’t Steampunk be without trains?